2008-2013: Multiple "client" reviews left from inside the offices of HY Markets. 2013-2014: Large numbers of highly suspicious positive reviews submitted. The FPA recommends caution dealing with this company. PLEASE ALL PEOPLE STAY AWAY FROM THIS BROKER. This broker does not keep winners. If you make good profit and once you get detected, they will close your account immediately and return your funds back without any explanation. They did not have to say that they did not have to say that they did not have to answer. Its because there is no reason, they do not keep profitable traders. I had to fight with them for days to get my balance back to my bank account. STAY AWAY from them. Scam Alert on this broker! Made $11,303.84 USD profit with them only to have it wiped overnight with no explanation. These were manual trades placed. I get my money back. Thank you, i dont have any claims to the company now. Nov 8, 2018 - 1 Star HYCM was close my account, and 2 week i cant get my deposit back. HYCM, please, give me my money back! Terrible broker. They disabled trading with EA on my account (FCA regulation) and closed my colleague's account without any reason (No regulation). DO NOT DO BUSINESS WITH THEM they charge you 30 dollars just to withdraw via wire I asked them I don't want that and I asked them to cancel my account and refund me my winnings and they say I have to send them info about my card which I already did and they already accepted it. They did give me my original deposit when I eithdraw it but now that I want my profits they are saying they want to charge 30 dollars so I said no and wanted refund and now they are making excuses anf want me to sent them document about my card which I already did and they asked me this since I asked them to cancel it and give me my refund this is literally scaming and making excuses to not refund when I asked. So at first I gave them all my IDs about my documents but because I misspelled my last name they asked me to give them proof for my bank card so I explained them that I misspelled it and the document were indeed correct so I deposited 100 dollars and withdrawed 70 that's when they asked me and I explained them in an email and they processed with the withdraw as I did that I made profit with the money I had in the account 30 so I made another eithdraw for 85 and they gave me 30 because that was my original amount and in-order to withdraw the rest I most do it in other ways and they charge 30 dollars to withdraw via wire so I didn't agree and wanted my account to be closed and wanted a refund at this point is where everything started I asked that and they give me the excuses that I have to sent them documents about my card which I already did and they also corrected it now they are wasting my time and not giving me my profits and only giving me my original deposit i can also provide proof of all of this this company didn't give me my profits and I feel ripped off. 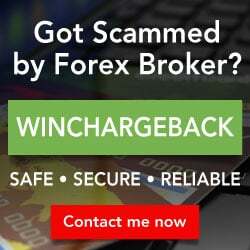 Hycm is a really Great & Excellent Broker, I withdraw my money after some losses they given me withdraw but do not remove bonus 75$, I trade daily on bonus amount 75$ and make profit when my profit reached 417$ I submit request for withdraw and they given me withdraw 417$ without any question or condition in 48 hours. I really appreciate HYCM Broker. 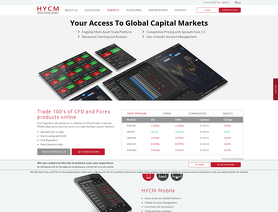 I recommend choose HYCM Broker if want to get Bonus and withdrawal. I am trading from Spain currently. True on the spreads you say, but until now I didn't have any problem while trading with this company! Unfortunately they do not accept traders from Turkey anymore. Anyway, it was the safest broker I have ever traded with.